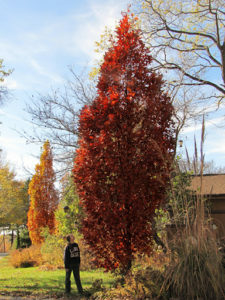 Fabulous fall foliage on Starhill’s own fastigiate oaks, ‘Chimney Fire’ in rusty red in the foreground and ‘Birthday Candle’ behind, with its typical warm orange. More than two dozen cultivars introduced by Starhill Forest are now available in limited supply! 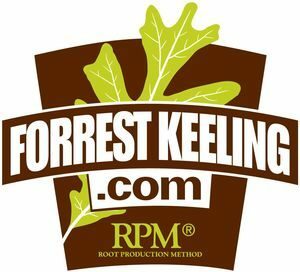 In the US, Forrest Keeling Nursery maintains the rights to our selections and offers them on site in Elsbury, Missouri and via mail-order at g2gardens.com as well as via sublicensed growers elsewhere. In Europe, Pavia Nursery propagates Starhill Forest’s cultivars. See a gallery of our selections here. Fact sheets and more information coming soon!